Some of the blocks in the Temple Mount are truly magnificent. This one from the southern wall isn’t even the largest—that one is 43 feet long and weighs an extraordinary 570 tons. 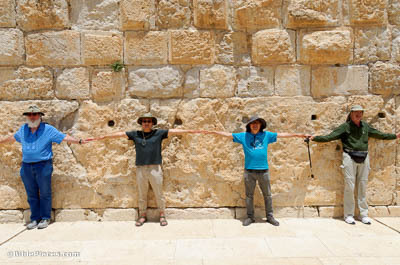 The immense size of these stones was probably what inspired the disciples’ awe. There will not be left here one stone upon another that will not be thrown down (Mark 13:2). In response to his disciple’s observation, Jesus predicted the Temple’s imminent destruction. In AD 70 the Romans fulfilled these words with pointed literality, tearing down the buildings on the top of the Mount and throwing the stones over the side. Even today, many of these stones remain where they fell. For nation will rise against nation, and kingdom against kingdom. There will be earthquakes in various places; there will be famines (Mark 13:8). 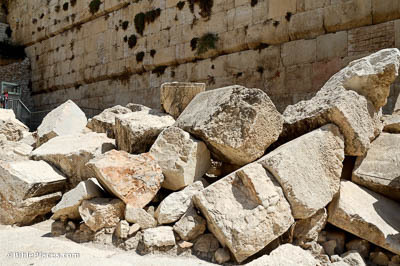 The land of Israel has a long history of earthquakes, including a massive one in 31 BC that left evidence at Qumran. 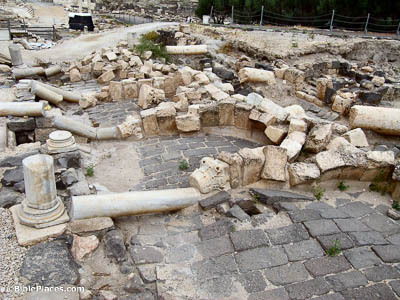 The photo to the left shows the earthquake destruction at Beth Shean (Scythopolis) from the year 749. All of the columns and arches collapsed in the same direction. Since the city was not rebuilt, the evidence was preserved intact for archaeologists to excavate. 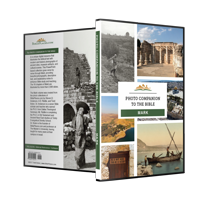 When you see the abomination of desolation standing where it should not be (let the reader understand), then let those who are in Judea flee to the mountains (Mark 13:14). 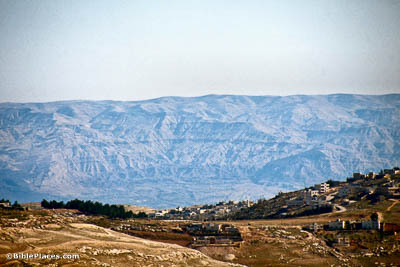 Daniel 11:41 indicates that the mountains referenced here are those in present-day Jordan, which will be protected from the antichrist. The people in Judea will need to go across or around the intervening water in order to reach their refuge, which might be why Jesus advises them to pray for favorable weather. Let the one who is on the rooftop not go down or enter in to take anything out of his house (Mark 13:15). 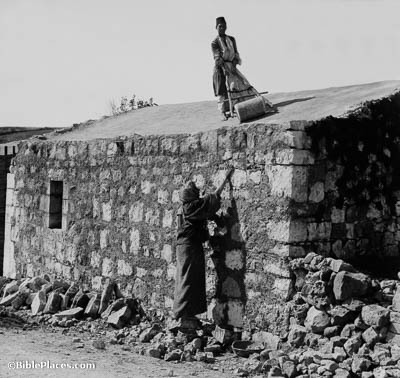 Though people in the West today don’t spend much time on their roofs, this wasn’t always the case. Ancient roofs were often almost or completely flat and were used for many living and working activities, particularly in the hot summer months. The situation that Jesus is predicting is so urgent that the people don’t even have time to go down into their homes before fleeing. Then they will see the Son of Man coming in clouds with great power and glory (Mark 13:26). Though it isn’t specified here, Zechariah 14 and Acts 1 confirm that when Jesus returns, he will come first to the Mount of Olives. 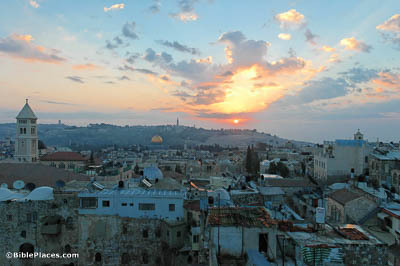 Just as the sun rises every morning from those hills, the Son will rise up from them into Jerusalem to defend his people and establish his kingdom.